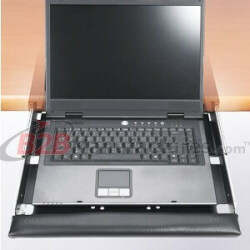 ˙Notebook holder with ventilation holes. 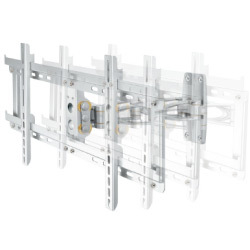 ˙Burglarproof function is offered (excluding burglarproof lock). 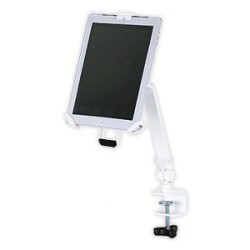 ˙Mouse support tray can be attached to the right of left hand side. 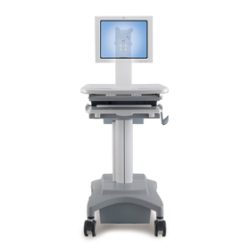 ‧Its compact and small footprint is perfect for patient areas and small spaces in hospital settings. 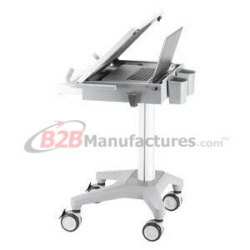 ‧Lightweight size and small profile design offers flexibility" mobility and ease of use. 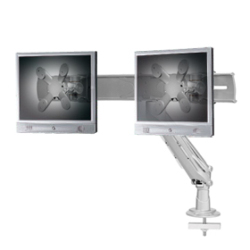 • Easy converting to multiple monitor application. 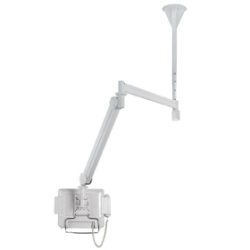 • Allows the merger of form and function with one product. 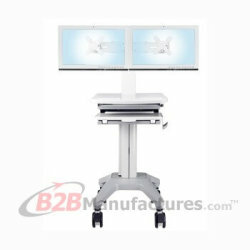 • The monitors can be positioned side-to-side or back-to-back. 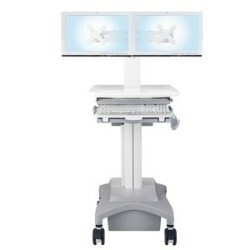 ‧Superior design to provide easy adjustment for patients and caregivers. 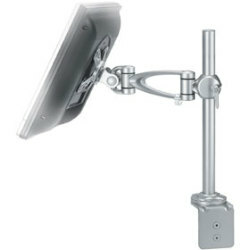 ‧The arms fold back to the wall into a compact retracted position for space saving. 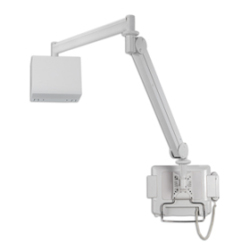 ‧All cables concealed inside arms provide a clean appearance. 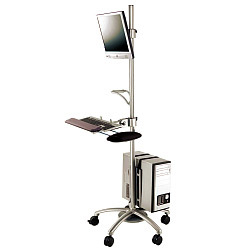 *Accommodates sitting & standing user and matches different users’ height. 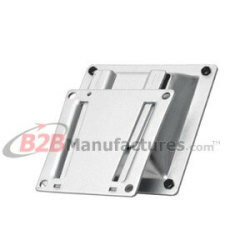 *Notebook holder with ventilation holes. 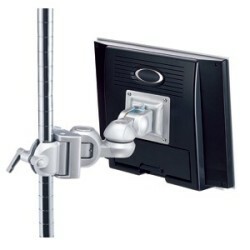 *Burglarproof function is offered (excluding burglarproof lock). A*llowing the clinicians to take care the patient at the point of care. 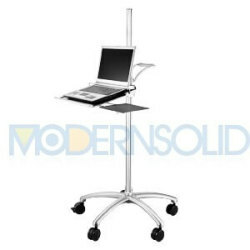 *Height adjustable to accommodate users of sitting and standing work postures. 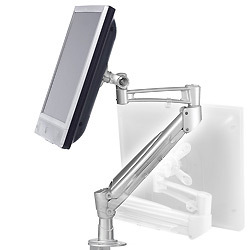 Add the notebook tray to LCD mount that uses 75 x 75mm VESA to create an ergonomic workstation for your notebook. 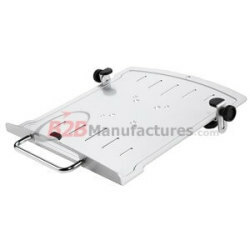 • Saves space and stores notebook with the durable drawer. 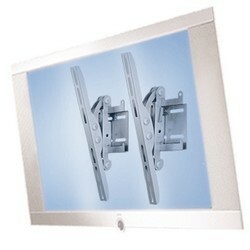 • Provides security against thieves with the key lock function. 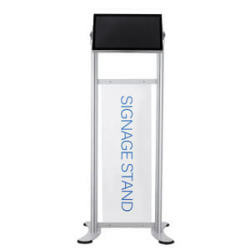 • Add greater flexibility in displaying eye-catching visual advertising signs. 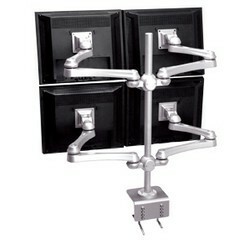 • Feature organized cable management to display the information in the finest manner. 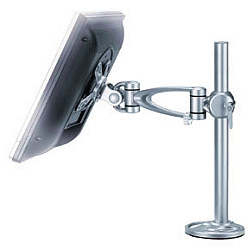 • Screen tilt adjustment offers the best viewing comfort. 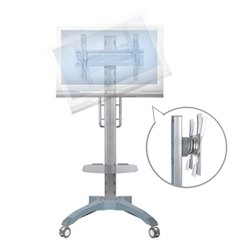 ‧Designed for use in space-constrained healthcare settings. 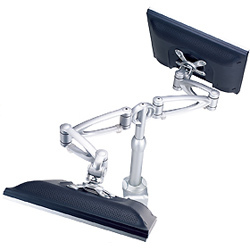 • Ergonomic design and height-adjustable mount are perfect for a comfortable working space. 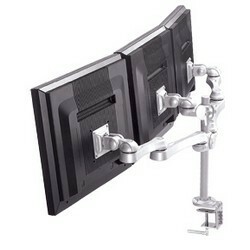 • Moves the monitor to the desired position. 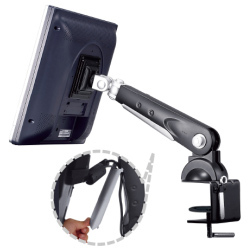 • Meets current ergonomic guidelines. 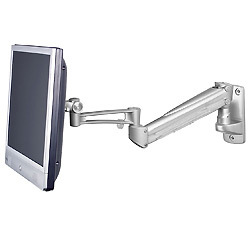 •Space saving-Series Notebook Arm is free to move in all space. 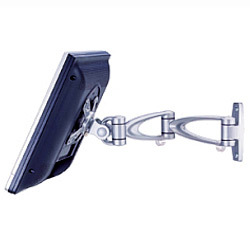 •Its delicate design allows your notebook screen to stop at any position you desire. 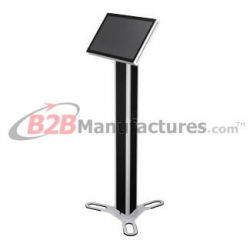 •Free to make up your own combinations in order to meet your needs of sales. 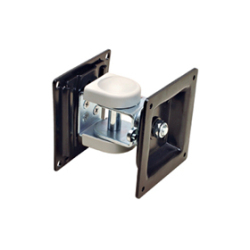 Tilt control structure" without knob" makes effortless adjustment.˙Security fastener design prevents from theft. 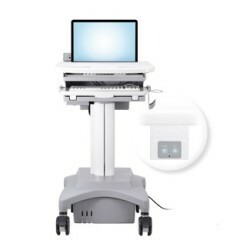 • Allowing the clinicians to take care the patient at the point of care. 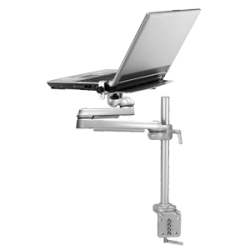 • Height adjustable to accommodate users of sitting and standing work postures. • Rubber rings are in place to avoid bumps against the wall. 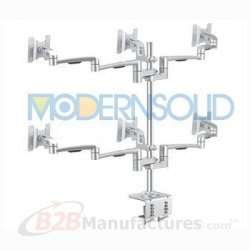 • Quick and easy mounting with the pole to save space. 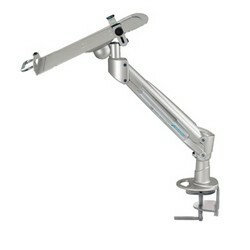 • Mount with the existing pole/pipe of medical equipment for better integration. 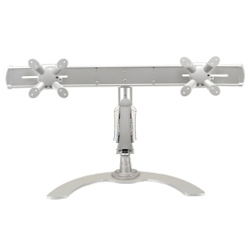 • Be compatible with LA-16G、17G、18G、37G; Sagitta series wall mount type. 3. Quick and simple installation. 4. Easy and efficient cable management. 1. 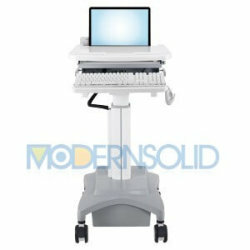 Aesthetic design offers a pleasant environment. 2. Easy and efficient cable management. 3. Broad range of flexibility. 4. Quick and simple installation. 1. 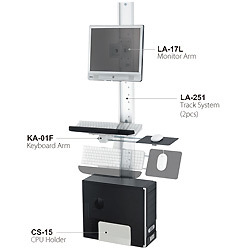 Computing workstation enhances working efficiency. 2. 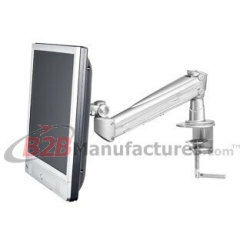 Fixes track system at different locations to meet different needs. 3. Can be fixed at different location (50mm/pitch). 4. Different lengths of track available. 1. 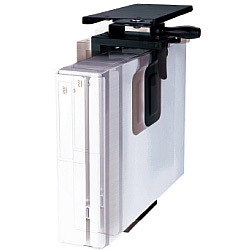 Mounts CPU vertically under the desk to save space. 2. 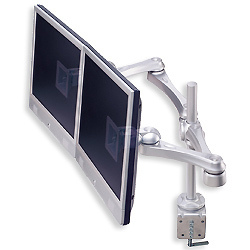 Adjustable height and width to fit different CPUs by using handle. 1. 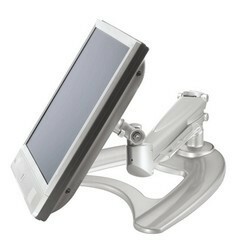 Mounts the CPU holder underneath the desk to save space. 2. 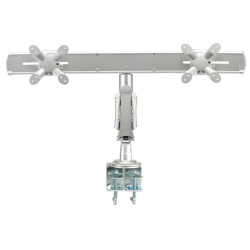 Supports the CPU with high tensile-strength straps securely. 3. 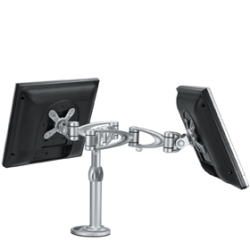 Extends and swivels the CPU for convenient use of rear connections. 1. Routes cables from desk to floor. 2. 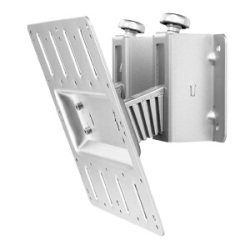 Quickly install or removes the cables inside. 3. Keeps the cables segregated from each other. 4. 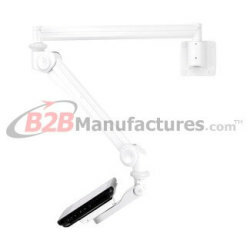 Easily fixs it underside of the desk. 5. Shorter & longer lengths are available. 2. 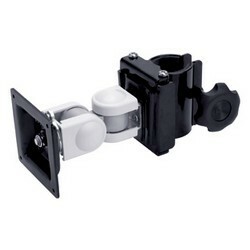 Pull out and swivel for easy viewing. 3. 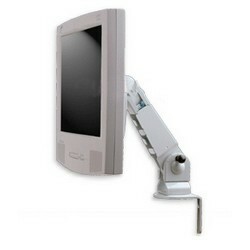 Slim design holds screen close to the wall. 4. 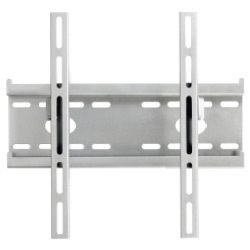 Meet universal TV wall mount standard. 5. 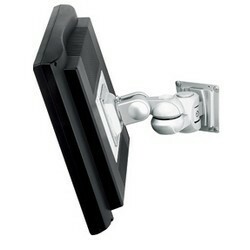 This wall mount allows a very discreet installation that is perfect for wooden wall. 1. 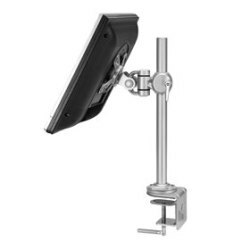 Tilt control structure, without knob, makes for effortless adjustment. 2. 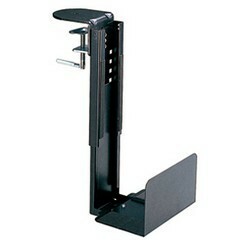 Security fastener design prevents theft. 1. 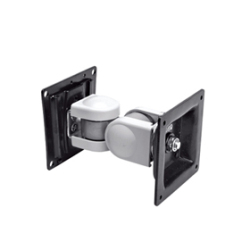 Security fastener design prevents from theft. 2. 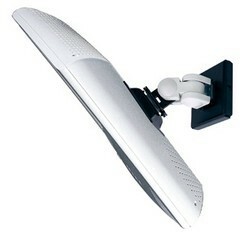 This wall mount allows a very discreet installation that is perfect for wooden wall. 2. 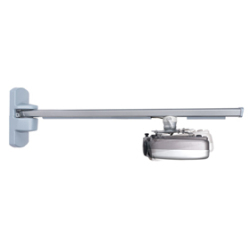 Safe button hook prevents theft and dislodgement. 1. 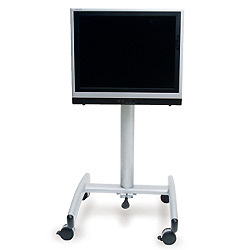 Accommodates sitting & standing users and matches different users’ heights. 2. 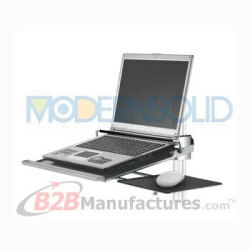 Mouse support tray can be attached to the right or left hand side. 3. 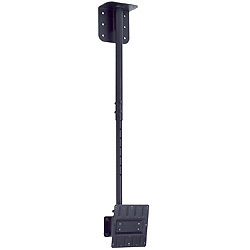 Pedal function for effortless height adjustment. 4. 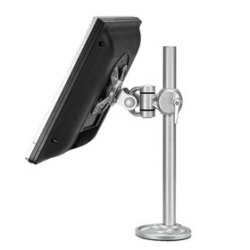 Enjoys an ideal viewing position with TVs swivel base. 1. 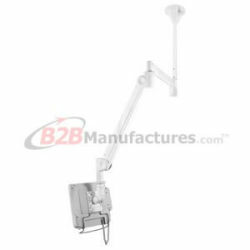 Gas spring inside allows for easy height adjustment. 2. 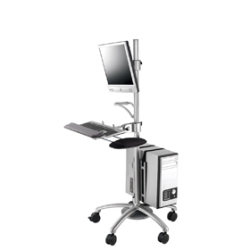 Enhances ergonomics and productivity. 2. 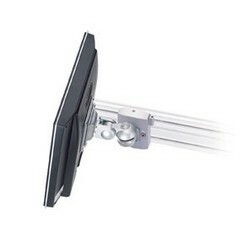 Easily moves the monitor to desired position. 1. 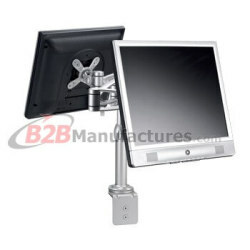 With quick release function for monitor installation. 3. 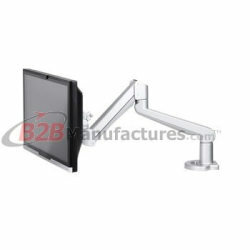 When not outstretched, the arms can fold close to the wall for space saving. 1. 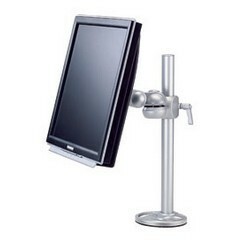 Space saving: lifts monitor off desk to free up workspace. 2. 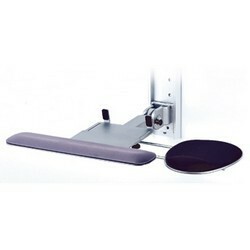 Easy to install: mounts to surfaces up to 60mm. 3. 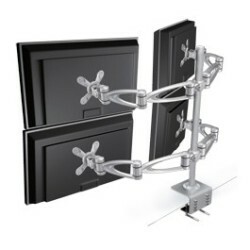 Built-in cable management: keeps cables out of sight. 1. 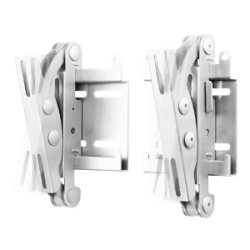 Built-in gas spring design allows for easy movement. 2. 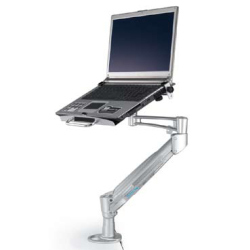 Allows the users to have a comfortable viewing angle when sitting or standing. 1. 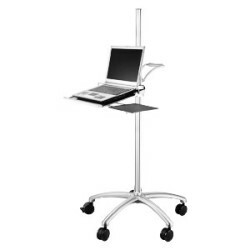 Accommodates sitting & standing users and matches different users' heights. 3. Handle design makes easy use. 4. 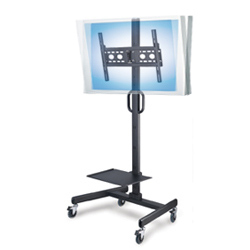 Features a modern look with DVD Player stand. 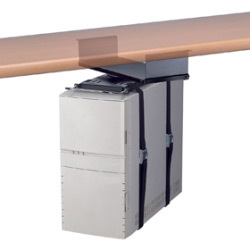 ˙Keep cables concealed under plastic covers along the rail. ˙Application: Classroom, Conference room, etc. 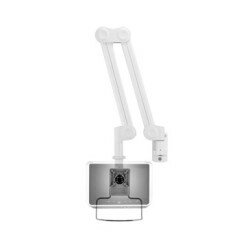 ˙Handle design makes easy use. 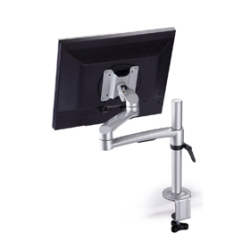 ˙The optimal viewing comfort can easily be achieved thanks to the height-adjustable function. 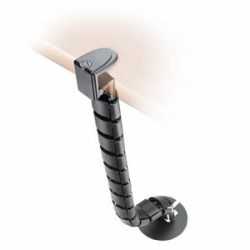 ˙Keeps cables concealed under plastic covers along the pillar. 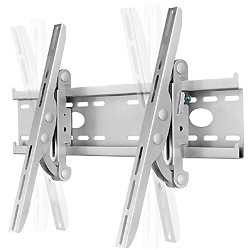 ˙Mounting the TV in portrait mode is available. 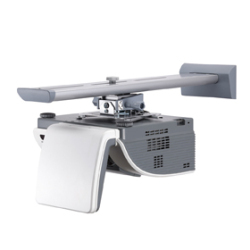 ˙Strong weighted base with four high-quality casters (all lockable) ensures a smooth movement of the cart. 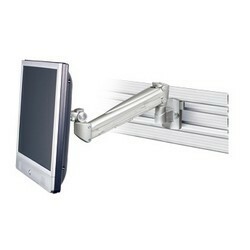 • The handle makes it easy to move. • It stays stable while you’re typing. 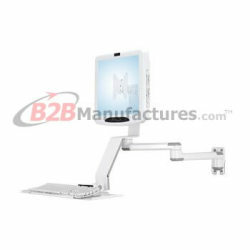 • Easily adjusts it to different size screens & avoid various USB sockets. 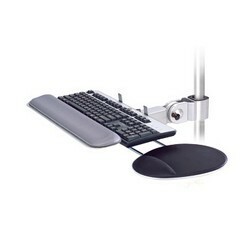 • Keyboard, mouse and wrist rests make user feel comfortable. 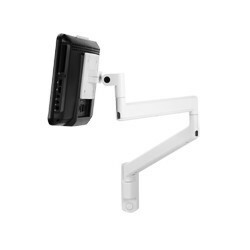 ˙Designed specifically for ultra short-throw projectors. 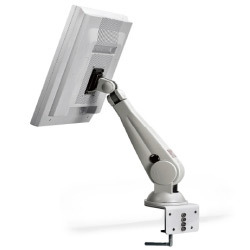 ˙Ideal for use with Interactive whiteboards. 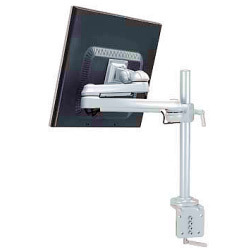 ˙Enables the projector to be mounted only a few inches from the projection screen. 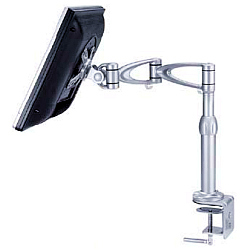 ˙Easily mounts CPU at the inward or outward desk to save space, for desk 15-102mm thick. ˙Anti-skid provided to prevent from sliding and scratch. ˙Knock-down design to save freight. 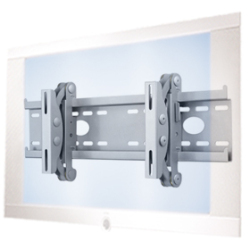 ˙Allows easy vertical movement for the best viewing comfort. 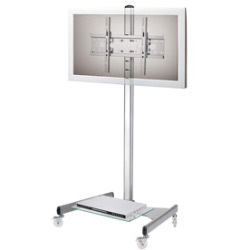 ˙Features a modern look with DVD Player stand. 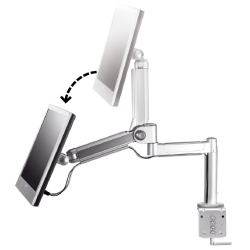 ˙Tilt control structure, without knob, makes effortless adjustment. 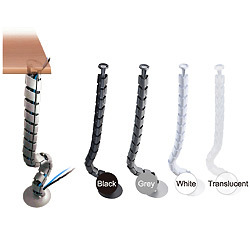 ˙Security fastener design prevents from theft. 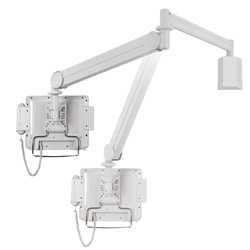 ˙Tilt control structure makes effortless adjustment. 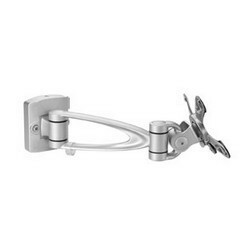 ˙This wall mount allows a very discreet installation that is perfect for wooden wall. 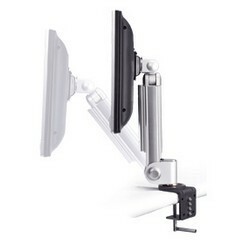 • When not outstretched, the arms can fold close to the wall for space saving. * Firmly fix on solid wall. 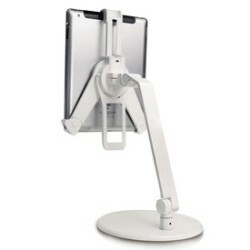 • Handy and Convenient supporter. • Firmly fix on solid wall. 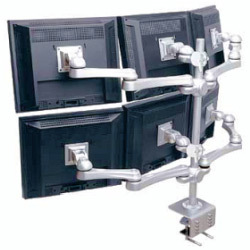 • Great space saver to carry several monitors into a Pole or Pipe at the same time. 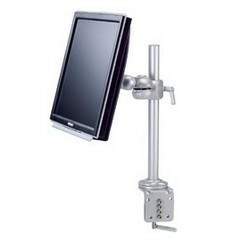 • The monitor can be fixed into Pole since the arm is clamped tightly against the Pole.